Please use this item as a quick way to help you pay for our services. Please use this item as a quick way to pay for our services. So for example, if you’d like to pay $500 for a Master Class, select this item and change the quantity to 500 which will extend the quantity times the $1 price to $500. To reserve your seat for one of Leslie’s events, make a payment through PayPal below. Please indicate which event you are paying for in the comment box on the checkout screen. Thank you! It was not until after my dad died that I remembered all of the verbal jewels he had shared with me. My mom always called him Herbie. I started remembering one “Herbie Hint” at a time. I gathered from the reaches of my memory the tips he had bestowed upon me over the years. Then I applied each “hint” to a current day situation or challenge. What would Herbie say or do? 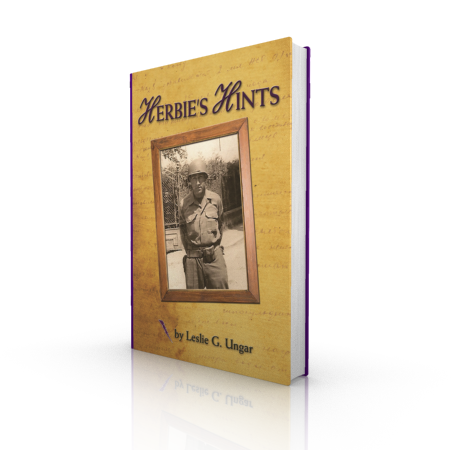 The Herbie’s Hints section of my monthly newsletter became the most popular section. I took those hints and added, edited and massaged them into a pocket manual for you to benefit from advice from my dad, which in many ways is advice from all dads. 100 easy to follow tips to help you identify your true value, communicate your value, and protect your value in your everyday life. 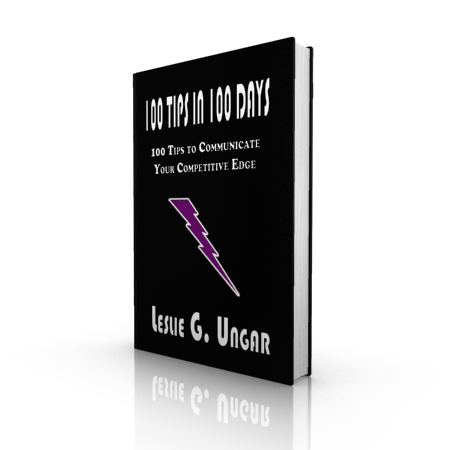 In this updated, concise, yet powerful edition, Leslie provides advice that applies to everyday life, the business world and professional speaking. Tips include: how to open with a wow, what parts of a speech you need to memorize, how to choose your seat at a meeting, when to practice, and how to own the podium. This is the only book of its kind, written by a member of the National Speaking Association. 100 Tips in 100 Days is an easy to use trip-tik to help you navigate the journey to use your voice to get results, move your agenda forward, and communicate your competitive edge.